(ii) When motion papers are served by regular mail, at least 13 days notice shall be given (CPLR 2103[b]). 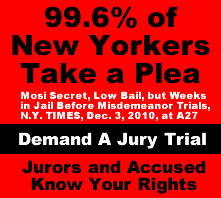 The Notice of Motion and Affidavit of “The People” in this ‘Motion to Change Venue’ proceeding clearly shows it was “District Attorney” Lori Rieman herself who created, executed and filed this motion, as such she herself violated 22 CRR-NY 1000.13 and (CPLR 2103[b]). This is why you see the term “individual and official capacity” used most frequently in lawsuits against corrupt criminally minded public officials such as Rieman. Further absent a specific CPL the CPLR is controlling. While it was only a couple of days before she met the time limit, it was a Pro Se defendant, someone who dose not spend his time “practicing law”. Further she was still mandated to follow the law, PERIOD. If those who enforce the law refuse to obey it, then what is the purpose of law? Upon coming to the desk of the court clerks office one Jillian Koch assisted the Pro Se and brought forward the file which the Pro Se started to review. The Pro Se noticed a couple of papers he did not see or notice in it when he earlier reviewed the file and asked for copies which Koch provided him with. 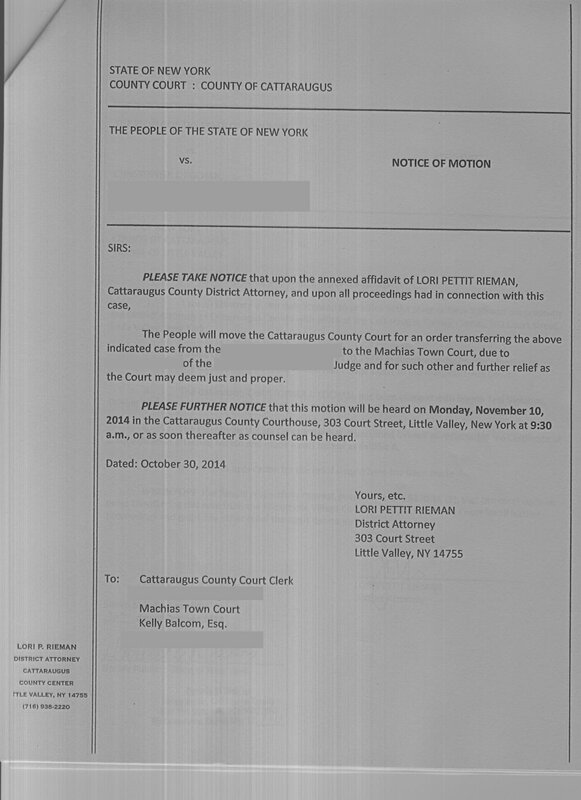 Mind you, this is the same clerk who months before would deny the Pro-Se with a copy of the notice that the County Judge GRANTED the order/motion of Rieman transferring the case from the original location to Machias before the hearing on the matter actually occurred. NOTE: THE PRO-SE WENT TO REVIEW THE COUNTY COURT FILE WELL BEFORE THE DAY OF THE HEARING AND THE ORDER WAS ALREADY SIGNED. IT WAS A DONE DEAL BEFORE IT WAS SUPPOSE TO BE A DONE DEAL. COMPLETELY CORRUPT AND PROOF THAT THE DECISION HAD ALREADY BEEN MADE BEFORE IT WAS ALLOWED TO BE MADE. Back to April 22nd, 2014; the Pro Se only saw three ladies behind the clerk counter area, none of which was the Chief Court Clerk Verna Dry. Verna Dry is also the jury commissioner for Cattaraugus County. 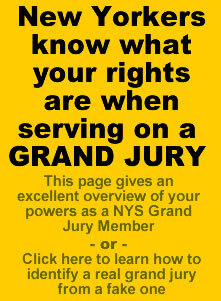 Nice, you have one individual who is in charge of all of the legal paperwork as well as in charge of the jury who has the right to review all of the legal paperwork of a proceeding. Only in Cat County! Upon receiving the copies the Pro Se requested, he set up his video camera to document what exactly was in the file. He started to video tape the contents. 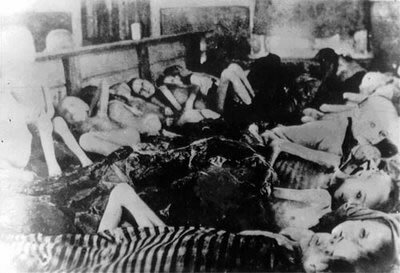 The Pro-Se had completed this same procedure on at least two occasions before in this same room, with the same people present with no issues. The purpose of him videotaping all of the contents in the file is to maintain an accurate record of what is in the file based on his belief and evidence that court records in the lower courts as well as the county court have been tampered with in violation of 18 U.S.C. § 1519 and CPL § 175.25, which is a crime and gets public officers thrown in jail. 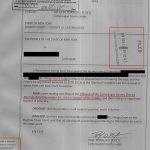 Further at an earlier proceeding on April 8th, 2015 in the Town of Little Valley Court the Pro Se discovered that his file had been tampered with. That is the subject of an already completed article that will be released shortly. Verna claimed that she had been on contact with chief clerk of the 8th judicial district that the Pro-Se was not allowed to video tape the contents of the file. The Supreme court let stand a ruling by a lower appeals court on the right to film ‘government officials”, so the supreme court ruled that the lower court was correct. So any government official that claims you cannot tape them while they are engaged in their public duties just violated your constitutional rights and if they claim any law that allows them to deny you that right, the law/rule itself is unconstitutional according to the supreme court. It will be interesting to see what the 8th Judicial District Appellant Division has to say about this. Further because it is violation of a 1st amendment right it becomes a title USC Title 42 § 1983 action against the public official denying you the ability to videotape and you can sue them both in their official and individual capacity. So, what Verna actually did, by her conduct in denying the Pro-Se his right to videotape the contents of his matter, is proof that she and/or others in her office are in fact tampering with public records. At a minimum she is aware of it because she is the one who denied the Pro-Se his ability to videotape the file. The Pro-Se asked for a copy which Verna said she would provide the Pro-Se with, however she did not make a copy of the page she showed the Pro-Se that had the hand writing upon it. The copy machine was directly behind her, yet she left the room with the copy and walked out into the hallway and appeared to go to the right as she existed, which the law library is to the left, where the Rules of Court book would be as you leave the room. One must wonder what Verna is trying to hide? Simple, the truth is that they engage in tampering with public records constantly in order to hide their crimes and to find innocent people guilty. 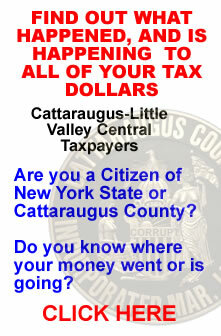 So the next time you go and review any record in Cattaraugus County and they claim you are not allowed to videotape it, make sure the Clerk is with you and you describe each piece of paper and write down its description and you make the clerk signs it. If they don’t they have just admitted that there is documents missing from the file and therefore it has been tampered with. 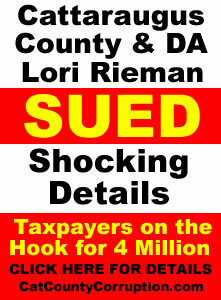 In a 4 million dollar lawsuit that the County and Lori Rieman are being sued for, there has been absolute proof that the county court clerks office has tampered, or is allowing tampering with the evidence/public record. In this tampering with the public record incident Rieman claimed in court that her victim (the one that is now suing her) committed two separate violations of probation when in fact the recorded clearly showed he only had allegedly committed one. 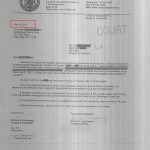 When a violation of probation occurs the probation department creates a verified notice that goes in front of a judge. If the judge finds grounds that a violation allegedly occurred then the judge can revoke probation with a warrant of arrest, or alike, and will issue it, and the individual is placed in jail again. In this case Reiman’s victim allegedly violated probation for an assault charge that was later thrown out, so anything that emanated therefrom, like the violation of probation, was also thrown out because it was a direct result and arose from the original assault charge. In the second VOP/tampering incident, Riemans victim allegedly failed to report contact to the probation department with a police officer with in 48 hours. This alleged incident, in November of 2012 occurred when he went down to vote and to get a copy of his transcript at the same time (his lawyer asked him to get a copy). The clerk of the court yelled at him telling him she didn’t have time to get his “stupid” transcripts and told him he was not allowed to vote and ordered him to leave the property. Rieman’s victim played it safe and called the probation department as well as payed a visit to the probation department within 48 hours, which there are witnesses to that effect. He was also on the phone with his attorney’s secretary at the time of the incident. The original alleged violation took place about one year before so this latest ‘violation’ was a completely separate incident so by law it had to be looked at separately, and yes there is a common law court cite about separate incidents which were NO MORE THEN FIVE MINUTES APART right here in cat county. So in cat county they can declare that you need no more than five minutes to claim a separate incident, yet they can also claim that a separate incident can take place over a year. OK, I just sold a bridge in the middle of the Arizona desert, and it is from London. Plain and simple; it could not be ‘amended’ to the original violation that was thrown out. Here is the issue; If it is ‘amended’ it i made part of the same case and therefore the same file. In this matter a whole separate case/file was created, which if it was an actual legitimate violation that is exactly what should have happened. So you now have two separate actions going on in two separate files/dockets yer Reiman claims they are one and the same, so therefore it is considered an ‘amended’ action,, yet there are tow separate files. Confused yet? Now it gets interesting…. The County Probation department acknowledged this, that there is not an second violation, and there is not one mention of this ‘violation’ for entire year while the appeal was at the county court for the Town of Yorkshire assault charge conviction. On this day in September 2013, the victim shows up but his lawyer fails to appear. The victim tells the court that his lawyer failed to appear, so, in the interest of justice, the court should have adjourned the hearing at that point. What did they do? They claimed the victim was acting pro-se and moved the hearing forward. 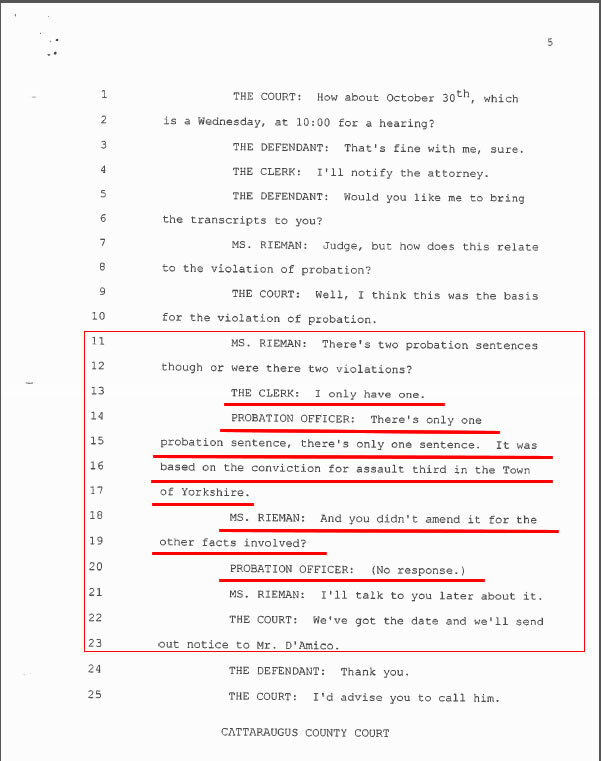 Here is where it gets more interesting; The Probation department officer testified at this September 2013 hearing that “There is only one probation sentence, there is only one sentence. 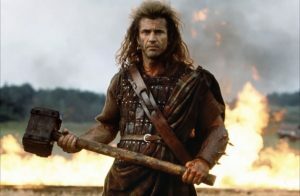 It was based on the conviction for assault third in the Town of Yorkshire” that occurred in 2011 . The victim had no idea what they were talking about, he was totally confused at the time. 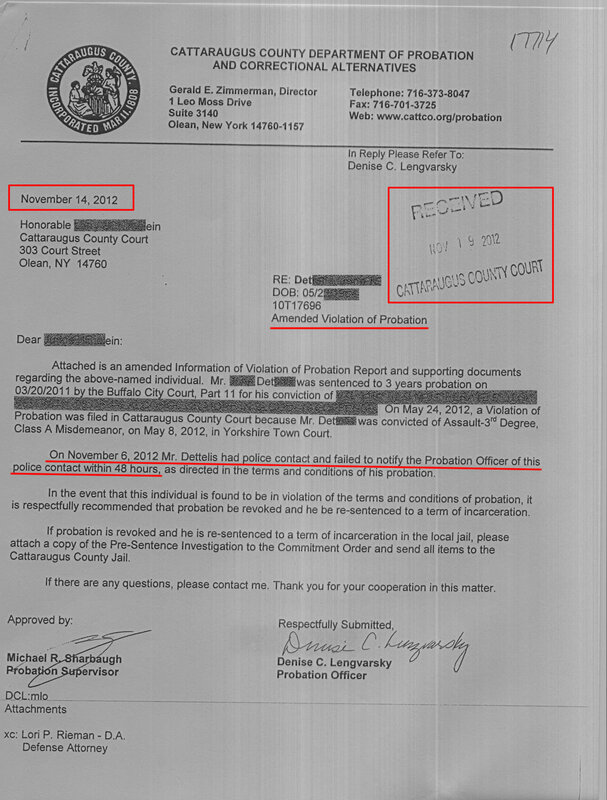 How could the court move forward with this hearing when there is no other “violation” in November 2012 and the probation department even admitted it in 2013 at a hearing that no violation occurred in 2012 (see the transcript). 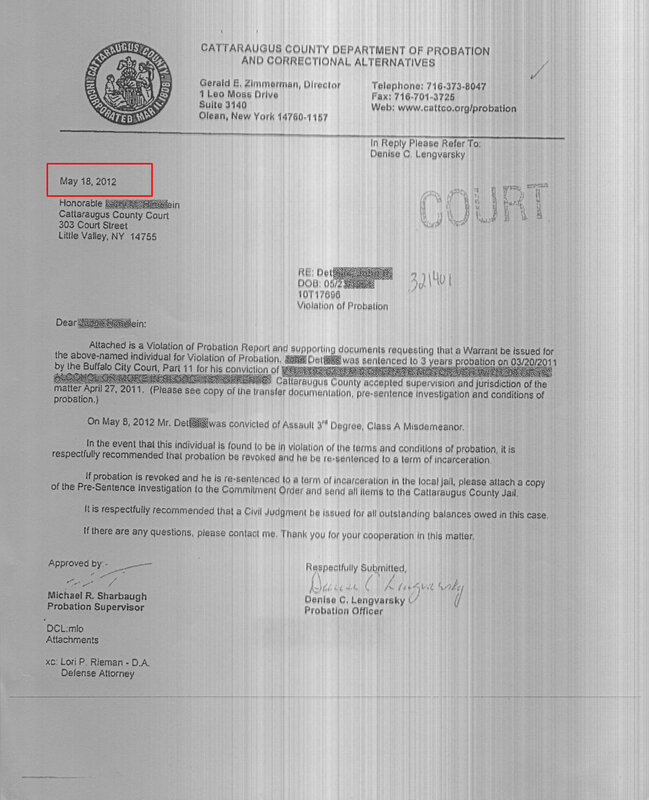 You will also notice that there is no court date stamp on the May 2012 VOP, but there is one on the November 2012 VOP. Only the court clerks have the authority to use this stamp, so it shows direct involvement with the court clerks office. If the probation department testified in 2013 that there was no second violation in 2012, how could there be a second notice of violation for the 2012 ‘voting’ incident if they testified in 2013 it did not exist? Further if Reiman stated on the record that it was “amended” to the original violation, which was part of the first case, i.e. the assault, then why was a second file/docket/case created when it should have been included in the first one and how could it have been created when the original case/charge was thrown out? Simple; if it was amended to the original case/charge and the original case/charge was thrown out, there could not be a ‘second’ case/charge/VOP. 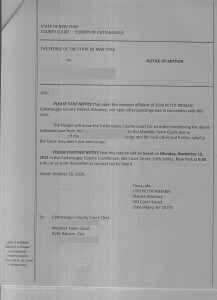 Not only that, in late winter of 2014 the victim who is now suing the county and Rieman paid a process service to send one of their servers down to the County Court Clerks office and review the file to document if there was in fact a warrant as well as the other proper paperwork that would follow a notice/POV being issued for the alleged second violation. The written request listed the file to be reviewed. In this matter there were two files. The first file being the assault charge and the second file being the alleged second ‘voting’ probation violation incident. The first file was sealed because Rieman’s victim had won the appeal. 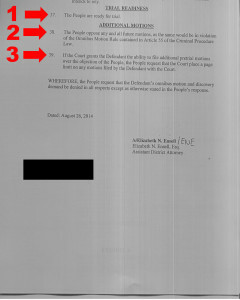 The second one was not, each file had to have a different docket number associated with it. 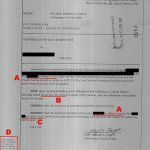 It was Verna Dry who ‘assisted’ the process server that day in his attempt to inspect the record to document if a warrant and the other follow up paperwork had been issued for the second alleged violation. 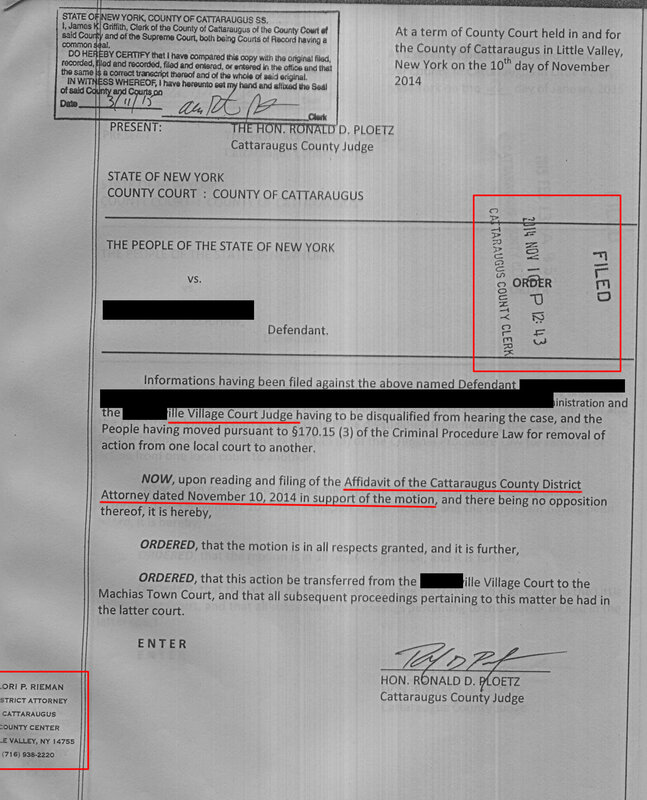 The Pro-Se has only filed only one motion in the matter that was transferred from the Original court to the the Town of Machias Court, then on to the Little Valley Town Court, however the ‘order’ of the county court ordered that it be transferred from the original Court to the Little Valley Court. You can’t move a case from a court it is not in to a court it is supposed to be in. PERIOD. 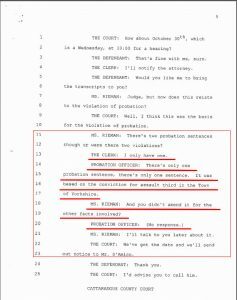 This is just a small example of the criminal collusion between the County Court, the Little Valley Town Court and Rieman as well as others in an attempt to cover up the crimes they have committed and are committing against the Pro-Se defendant. 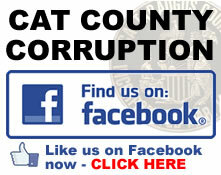 But that is the subject of another article on County Court Corruption. 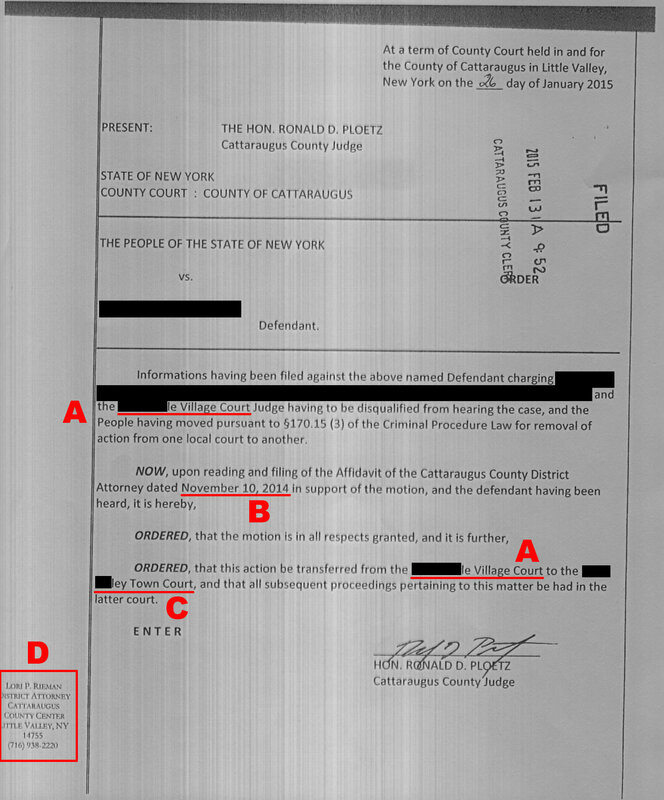 Further you will notice that the bogus order of January 26th, 2015 and filed on February 13th, 2015 states that the “Court upon reading the affidavit of the Cattaraugus County district attorney and the defendant being heard…” This is a total lie by the court, by and through County Judge Ronald Ploetz. What was heard that day was the Pro-Se’s Motion to Reargue/Renew not Riemans bogus motion of October 30th, 2014. 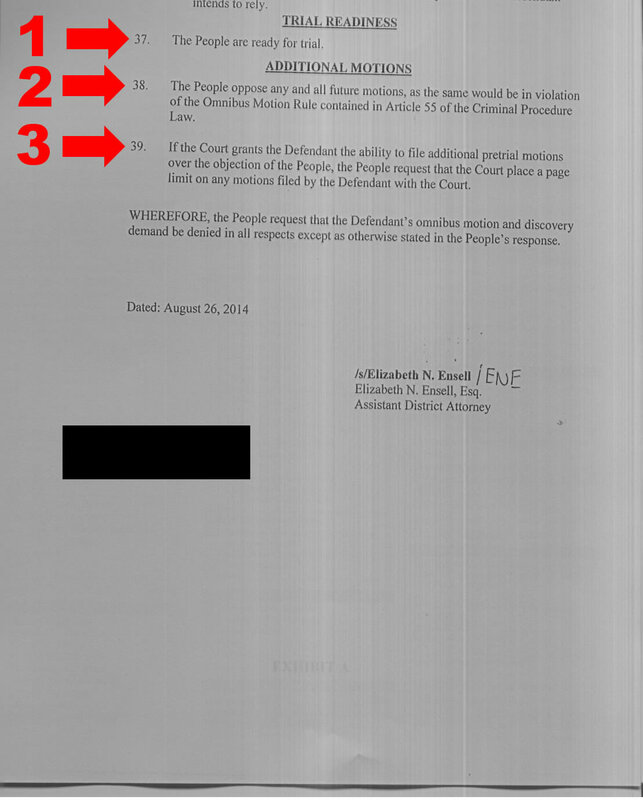 When the Pro-Se filed his one and only motion in July of 2014 the People, by and through “ADA” Elizabeth Ensell, subscribed and filed a verified answer to the Pro-Se’s motion, in it she swore to the fact that the Pro-Se was not allowed to file anymore motions because according to her; “Pursuant to Omnibus Motion Rule of Article 55 of the Criminal Procedure Law” he was not allowed to. 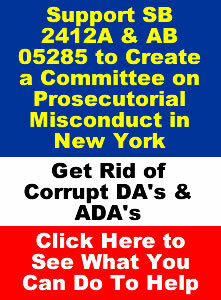 This is just some of the many tactics the Cattaraugus County DA, the Sheriff and the Court system use in an attempt to intentionally inflict so much emotional trauma/stress on their targeted victims in the hope that their victims give up and surrenders to their criminal activity, or runs away from it. 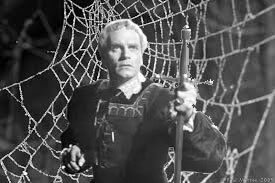 It doesn’t take much to figure out what would happen if a person runs, but then again, what individual would walk willing to their own death? Now do you seeing how evil these people really are? The other interesting aspect is Rieman and her cronies have not answered ANY of the PRO-SE’s pleadings, except the very first one which the Pro-Se slammed them on and then they panic and claim that the Pro-Se can’t file anymore motions… So, tell me again, who doesn’t know what they are doing? Back to the issue at hand; let’s take up where Verna had just left the Court Clerks Office area; on que as always, a sheriff’s deputy walks in a minute or two later through the same doorway Verna Dry had just exited from. Guess what Mr. Deputy, you are now a witness for a USC Title 42 § 1983 violation action. This was not the first time this had happened to the Pro-Se. Another time he was there another sheriff’s deputy appeared. This time this sheriff’s deputy claimed he wanted a piece of candy and this was the only room in which candy was located in the building. However he did not leave and did enter the secured area of the court clerks office. The Pro-Se believed Verna Dry summoned him to appear and was an attempt to intimidate the Pro Se who was only attempting to exercise his rights that day. What do you think? It took Verna Dry about 5 minutes to reappear through the doorway she left with the New York State Rules of Court book that contained the same copy she had just shown the Pro-Se minus the handwriting. She then made a copy of the exact same page she had just shown the Pro-Se (minus the handwriting), and the Pro-Se gathered up his belongings and left. 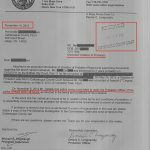 It is very clear the Verna Dry violated the Pro-Se’s 1st amendment rights that day and was covering up for someone, possibly herself as well as others, who’s handwriting is on that copy Verna??? Hmmm…. See the Pro Se touched and handled that copy with the hand writing on it numerous times so his fingerprints will prove if it is the same copy/handwriting when he demands a true, correct and copy of it. 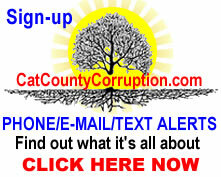 This entry was posted in Catt Co, Catt Co Important and tagged 655 F.3d 78, cattaraugus county corruption, Cattaraugus County Court Judge, Cattaraugus County New York Sheriff Department Corruption, chief court clerk, corruption, county clerk, dry, Glik v. Cunniffe, Jillian Koch, judge joseph dry, Little Valley Town Court, Little Valley Town Court Corruption, new york state, new york state corruption, pro se, public records, tampering with public records, US Supreme Court, verna dry on April 24, 2015 by catcount.